You've never seen the leader of the White Walkers like this. 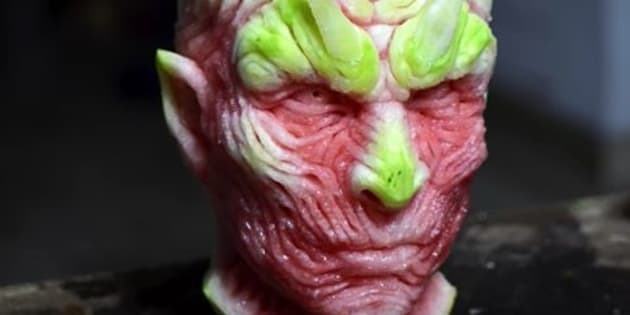 In the time-lapse video above, Italian fruit carver extraordinaire Valeriano Fatica transforms an ordinary watermelon into a totally sweet bust of the Night King from "Game of Thrones." Fatica says this particular carving took 18 hours from start to finish. And while the artist could have chosen any edible canvas -- he once crafted the Joker from a pumpkin -- the fleshy watermelon offers a fantastic depiction of the Night King's icy glare. Got a little something in your nose there.